This speedy 11"x17" - capable printer is an industry standard for print shops and engineering firms. 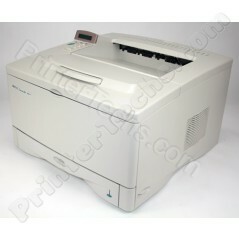 The base model includes 16MB RAM and one 250-sheet tray. This speedy 11"x17" - capable printer is a standard for printshops and engineering firms.